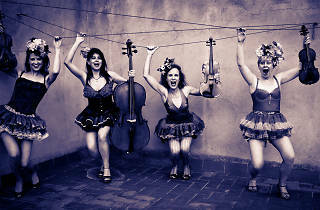 V.O.Quartet is not your typical string quartet. Rebecca Macauley on viola (New Zealand), Sandrine Robilliard on cello (France), Kirsten Tinkler on violin and voice (UK) and Naomi Wedman on violin (Canada) are all classically trained, yet their wide range of musical tastes and experience are also evident in their music and playing. These other flavours include world music such as folk from Ireland, Great Britain and South America; Klezmer; Gypsy; traditional music from Quebec; pop; and jazz. Their entire repertoire has been composed by them, and tonight's performance includes the world premiere of two new compositions, 'El Martirio de Sant Sebastián' (Wedman) and 'Opus 1 #1' (Robilliard). 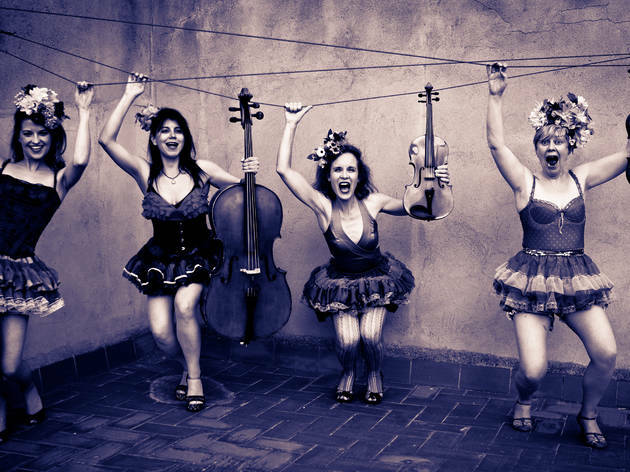 Let yourself be surprised by this group that will have you enthralled by haunting harmonies and strong melodies, tapping your toes, and laughing out loud.